Kawagoe is a popular tourist spot people often visit from Tokyo on a day out. Found amongst its old style roads and houses sits Kawagoe Purin, a popular shop specialising in the Japanese custard dessert known as “purin.” The shop has released a new chocolate flavour of its popular Kawagoe Sweet Potato Mont Blanc Ice Cream. Walking and eating in Japan is not a common custom, but in certain contexts and with certain items it is acceptable to do so. There is a word for it: tabearuki, or “walking and eating.” The number of people eating hot foods while walking around Kawagoe, the “town of tabearuki” is on the increase. Kawagoe Purin developed its soft serve ice cream―which can be enjoyed even in the cold winters―as a new way for people to enjoy sightseeing in Kawagoe. Since opening in July 2018, the shop’s soft serve ice cream, which is made with homemade purin and a paste made from Kawagoe potatoes, has enjoyed popularity on Japanese social media including Instagram. The new flavour takes that ice cream as a base and adds chocolate to it. 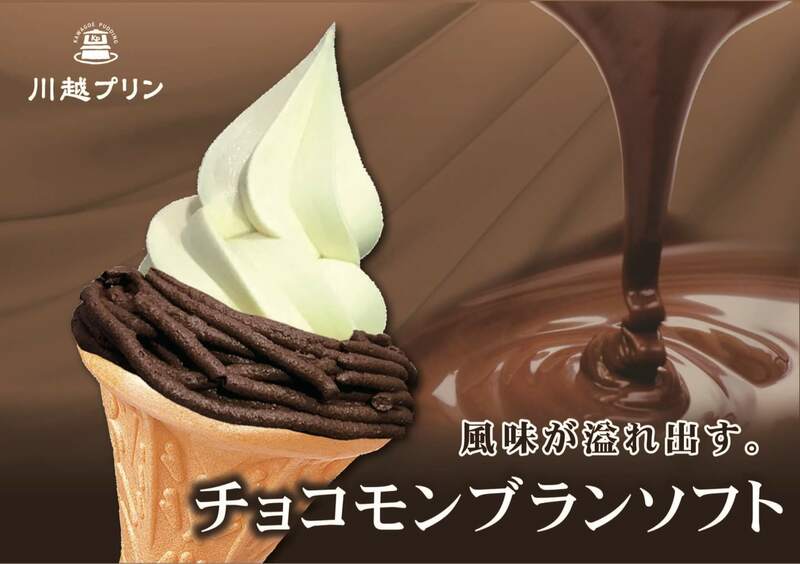 A specially made chocolate mont blanc is formed around the purin flavoured soft serve ice cream. It contains lots of high quality cocoa powder for a rich flavour. It looks just like a mont blanc with the smooth and refreshing flavour of purin and full-bodied sweet taste of the chocolate. 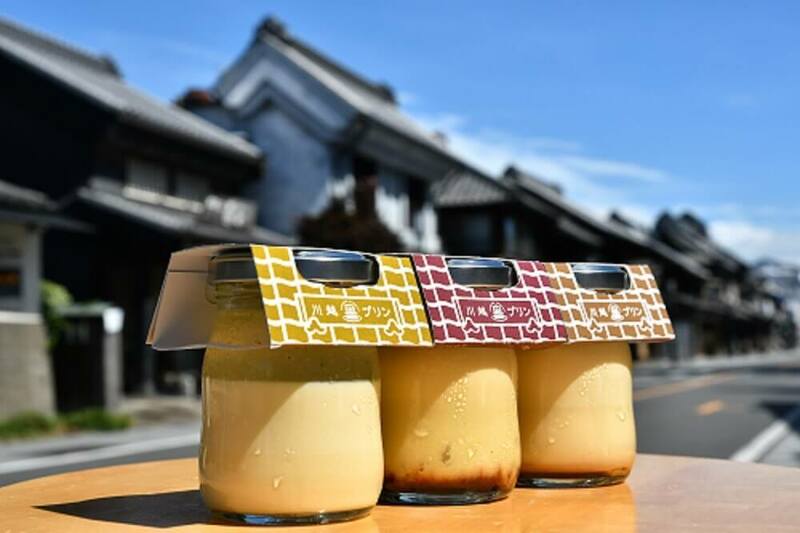 If you ever visit Kawagoe then be sure to make a trip to Kawagoe Purin to try this new treat.